After surgery, the child will be moved to the intensive care Unit (ICU). 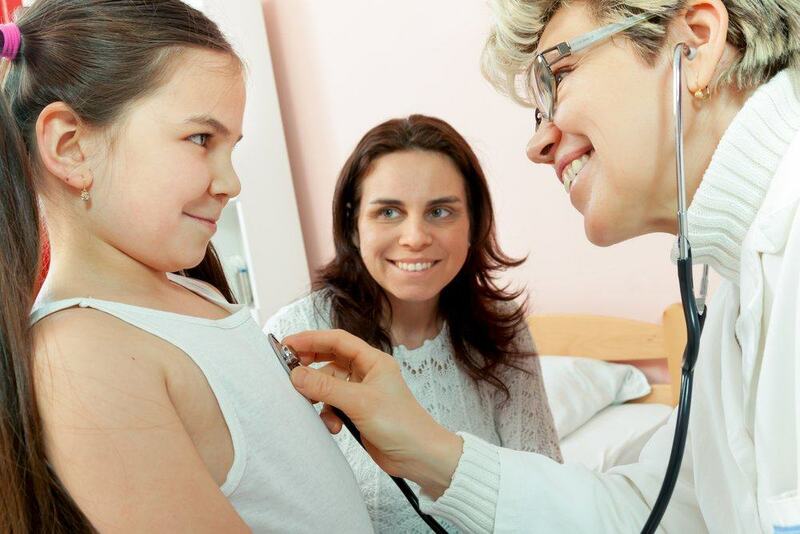 The experienced doctors, nurses, and technicians will provide care throughout the day for your child. Don't worry about all the equipment and tubes. The nurse or doctor will explain the purpose of the use of the monitor, the other tools as well as the required medication for your child. Each needed to help your child and used only as long as necessary. Doctors may be doing blood tests, electrocardiogram, chest x-ray and echocardiogram to monitor heart function. Children will also be injected the drug into the blood vessels to increase blood pressure or heart rate or to make the body dispose of fluid formed during open-heart surgery. The child will fall asleep as comfortable as possible with pain Painkiller and sedative. Central vein (CVL, CVP or the right atrium): a small tube called a catheter is used to give drugs, fluids as well as for monitoring the pressure in the blood vessels. Tube placed directly to the heart through the chest or through one of the major blood vessels in the body. Arterial line (line Art): a catheter to measure the child's blood pressure on an ongoing basis. The tubes are generally placed in the artery part wrist, groin or legs. Arterial Blood Gas (ABG): this test is done by taking a blood sample from an arterial line that shows how well your lungs and heart to work. Oxygen Saturation (Sat monitor): a small monitor that attaches on the fingers or legs that allow the oxygen levels in the arteries is monitored continuously. The mechanical ventilator (breathing machine): most children need this tool to provide oxygen to the lungs until they woke up from the operation and was able to breathe normally. Ventilator provides oxygen to the lungs through a special tube called an endotracheal tube that is placed in the respiratory tract. Continuous Positive Airway Pressure (ORAL): this special Device placed in your child's nostril to provide oxygen under pressure. This can keep the lungs become widespread without using a mechanical ventilator. The nasal Canulla: small Tube placed into the child's nostrils to transmit oxygen to the lungs. Chest tubes: a small tube placed through the incision on the chest into the space around the heart or lungs to drain off the liquid and air is produced through the operation. The possibility of the child will be given some chest tubes. The doctor will raise the tube when the air and liquid are gone. Foley catheter: a tube placed into the bladder to drain the urine continuously and ensure the child's kidneys are working properly. The cable that interlocked: small cable is placed through the chest and attached directly to the heart. If the child's heart rhythm is irregular, this cable can be used to restore a normal heart rhythm. After leaving the ICU, the child will be moved to areas that are not so intensive in the hospital, usually called "the step-down of the unit". In this room, the medical team will monitor the child's heart rate and rhythm using a computerized system continuously called telemetry. You can care for the children more often and could possibly stay in one room together. The doctor will give a program on children that he may cough and breathe deeply, in an effort to prevent infections and failing lungs. Encourage your child to do physical activity, such as playing, running and going to the bathroom will speed up the recovery process. After surgery, the children must eat foods low in salt to reduce the buildup of fluid in the body. The doctor will also prescribe drugs such as digoxin or diuretic, antibiotic. Your child may need to drink this medicine for a long time after coming home from the hospital. Several children experience fever during the first few days after surgery. Fever is a normal reaction, but if a post-operative fever failed to subside, the doctor will undergo a test to find out the cause and how to treat it. At first, your child needs medication pain relievers but tenderness will usually disappear a few days after surgery most of the PDA. Along with the return of the children's health after heart surgery, also returned to normal body temperature, appetite increases and there are no signs of fluid that accumulate in the body, the child can drink a cure rather than through injections. The doctor will also stop the supply of oxygen and remove all equipment that is stuck in the body of the child. When the doctors declare that your child is already better, it means that a child can go home. Doctors may be doing a chest x-ray, an electrocardiogram, and an Echocardiogram before operating results issued. The doctor will also prescribe pain relievers or medicinal drugs. You will be given instructions on how and when to give medication; make sure you understand the instructions before leaving the hospital. Cardiologist or surgeon child will stop or adjust drug dosage children when return visit after surgery. The surgical team will give you instructions on wound care and level of activity for the child out of the hospital. Typically, the incision on the chest should be kept clean and dry. Generally, children are allowed to shower or sponge in a short time and dried with a soft towel especially at the incision. Go for a swim or a soak in the bath is not allowed at least for a few weeks after surgery. Children can participate in activities at home, but they should avoid strenuous activity, play sports or exhausting until the doctor gives permission. School-age children usually stay home and permission from school for a few weeks after surgery. The doctor will tell you when the child can return to school as well as follow the classroom activities and sports. You should contact your surgeon or cardiologist if children experience fever, chest pain, difficulty breathing, or redness, swelling out pus on the incision. 0 Response to "Taking Care Of Children After Heart Surgery "